Our muslin products are yarn dyed for exceptional softness. The designs are woven into the fabric. 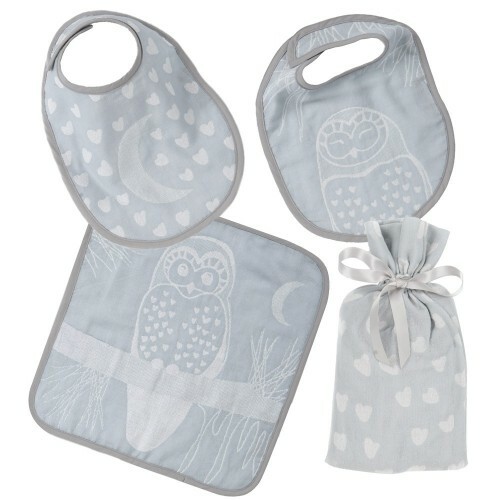 The set also includes 2 bibs 9.5” x 14” (24 x 36 cm) and 1 wash cloth 13” x 13” (33 x 33 cm). The set comes in a reusable muslin bag. The Prairie Collection, like the Outback Collection was designed in the U.S. by Harmony Art and as always, made using 100% certified organically grown cotton.